No trip to the Melbourne is complete without visiting Melbourne Aquarium. Situated on the riverside just opposite the Crown Casino, Melbourne Aquarium is home to thousands of animals, including sharks, turtles, stingrays, sawfish, tropical fish and much, much more. 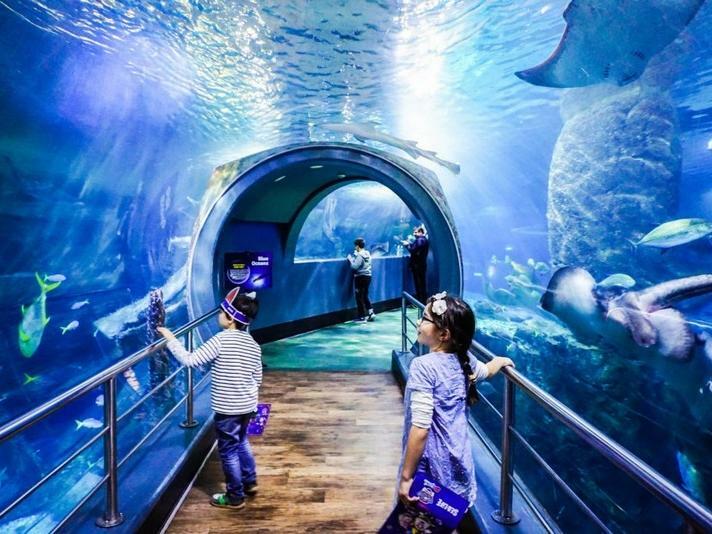 As one of Victoria's leading family and tourist attractions, Melbourne Aquarium offers entertainment for young and old alike. Walk underwater through the glass viewing tunnels and see Australia's marine life as never before! Come within inches of huge sharks, rays and turtles and see some of the remarkable marine and freshwater animals that have distinguished Australia’s natural world.